With the recent hot weather, we’ve all been overheating. Whilst an Ice Cream or cold drink might keep us cool, it might require a little more thought to keep your computer cool. Put very simply extreme temperatures shorten the lifespan of the computer and many of the components in it. If the PC fails you run the risk of data loss. Heat can also slow computers down, so keeping it cool will keep your computer running quicker. Here are our top 5 tips to keep your computer cool as the UK basks in record temperatures. Dust is an insulator and the chances are there is loads of it inside the case of your PC. A layer of dust in your PC is going to increase its temperature. If your computer is more than six months old it would probably benefit from an internal clean. Gizmodo provides an old, but still perfectly relevant cleaning guide. Most PC’s will shutdown if they get too hot. If this happens give it time to cool down, remove the case, restart and make sure all of the fans are firing up. It’s far easier, quicker and cheaper to replace a failed fan than replace a PC if you keep running it up to max temperature. But make sure you get a professional to make the repair! 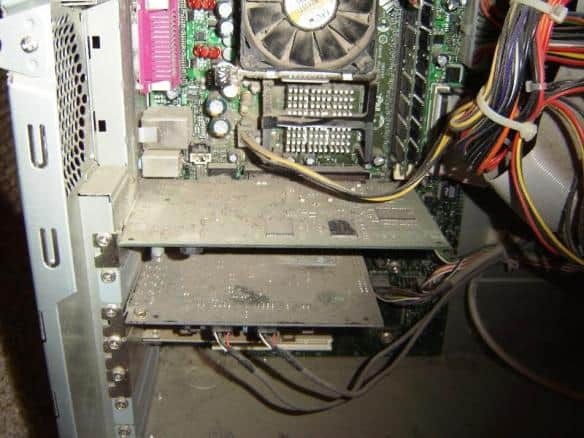 To keep your computer cool it needs a bit of room to breathe. Ensure that fans and openings are not pushed up against walls or desks. The fans need to be sucking in cool air, so look at the air flow and try and ensure it’s not sucking in warm, second-hand air. Many PC’s are tucked away under desks, this is often not the best place. First of all, air flow can be limited, and the machine is likely to be sucking in more dust down on the ground. Also consider this advice for laptops. Make sure you know where the heat is escaping from (you should be able to feel the fan pushing heat out) and keep the vent clear. Think about the room your working in too. If you’re hot, then so is the computer. Some apps and programmes take up large resources. These cause the PC to work harder and generate more heat. Typically resource hogs tend to be programs using graphics such as CAD, or large databases. Keep your use down to the minimum possible and make sure you shut these programs down when you’re not using them. Don’t be tempted to leave the case off after you’ve cleaned your PC or checked the fan. Cases are designed to keep your computer cool. They pull in cool air and direct it at the components that need it most. Believe it or not removing the case will often increase component temperature. Make sure your PC’s are well maintained by a professional Managed Service Provider! We are one of the Top 20 MSP’s in the UK. To find out how we can keep all of your IT systems running smoothly, even during a heatwave, complete the Contact Form or call us on 0115 8220200.